Lidl is opening more stores in the US than ever before! Do you have one near you and have you tried it out yet? If you haven’t been to one, it is a pretty creative and very intuitive store. You will love it! All of the stores are arranged exactly the same way and it’s easy to navigate. 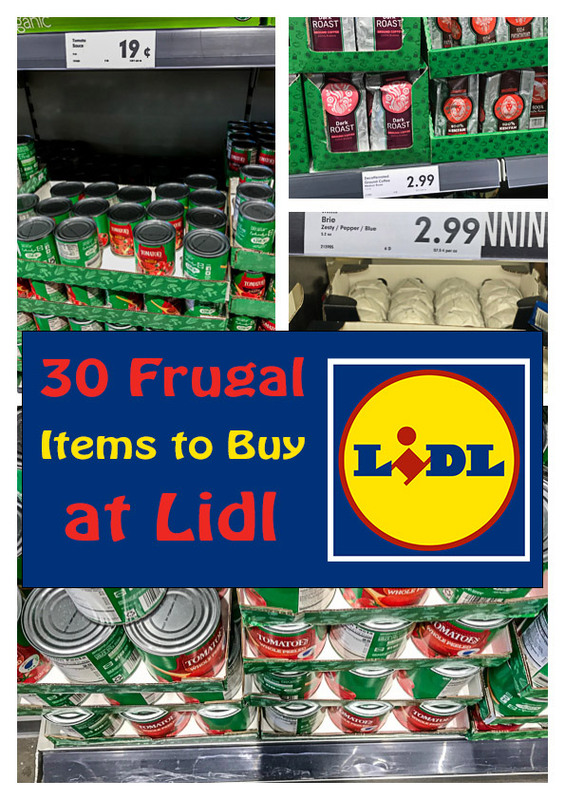 A majority of the items in the store are under their own brand, which makes it great for frugal shoppers like me who like to save money with generic and store brands! I can’t believe how much less these eggs are! Just a friendly tip: They charge for bags, so if you don’t want to pay for plastic bags, bring your own reusable bags. I also found a bunch of items at Aldi that saved me a lot of money. I don’t advocate jumping around to different grocery stores all day to save a few dollars, but I definitely will stock up on the items that save me the most when I am there! Research Trip to Save Money at Lidl and How I Will Happily Get in Trouble to Write Savor and Savvy! It was my first time in the store and I was so excited. Jason had been there a couple of weeks before me when I was out of town and he was raving over it! I grabbed a cart (which were free, unlike Aldi where you have to pay 25 cents!) and was hit right away when I got in the door! You will notice that I have photos for MOST of the items listed below! The photos stopped when the store manager asked me to stop taking pictures inside the store. I kindly asked why and was told it was due to competition. 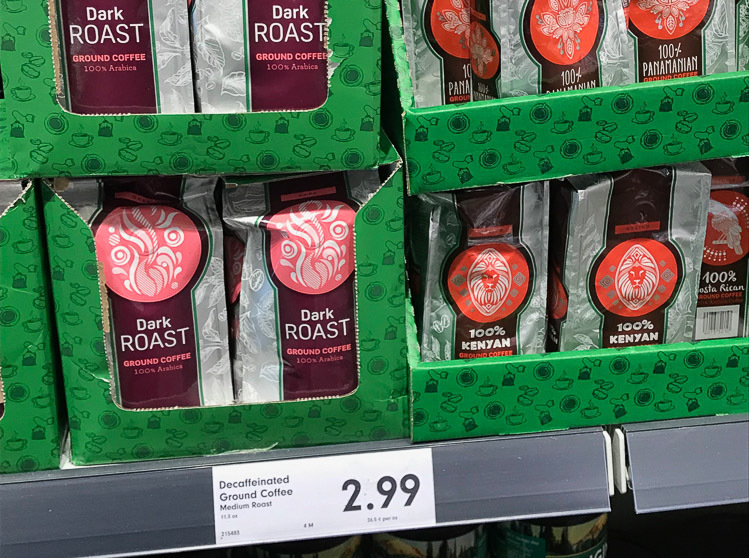 Not sure who Lidl’s competitor is based on these great prices, but I followed his request and broke out my pen and paper to finish my research. That was a first for me! Mangos. Mangos were the featured fruit on sale for 50 cents each. They may not always be 50 cents but they were staged right up front as I walked in the store. The last time I went in, another fruit was in that prime location and was on special as well. Look for the fruit that greets you when you first walk in the door for some extra savings. Bananas. These were regularly priced at 39 cents a pound. I normally pay 49-59 cents a pound depending on which store I’m at. It’s not a ton of savings, but we go through them pretty quickly, so I am happy for the extra few cents in my pocket. Baby Greens. The Baby Greens were $1.30. The lowest price I can find a similarly sized bag of Baby Greens is $1.99. Cha-Ching! Whole Pineapples. These were $2.09 each. At this price, I’m happy to cut it up myself. I needed some fresh pineapple for the post on making these delicious overnight oats, and I couldn’t beat that price at the other local stores. Babybel Mini Cheese. $2.68 for 6 cheeses. Mexican Shredded Cheese. $1.99 for 12 oz. I pay more than that for 8oz at my local big box grocery store. Mild Shredded Cheese. $1.99 for 12 oz. Sharp Cheddar Cheese. $1.45 for 8oz block. 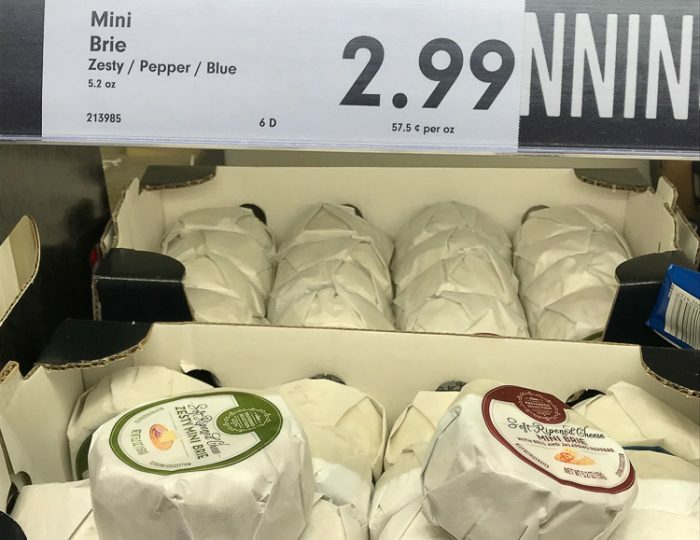 Mini Brie Cheese. 5 oz for $2.99. This is significantly less that what I can find at the local big box grocery store, and I love serving brie with crackers when company comes over. Gruyere Cheese. 7 oz for $4.99. 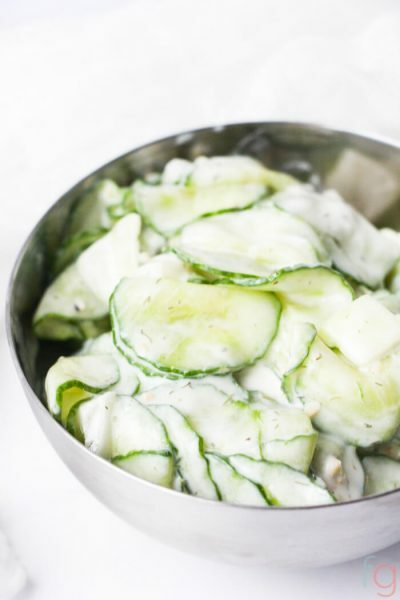 This isn’t a frugal cheese, but I add it to a rich potato dish and stuffed zucchini during the holidays. 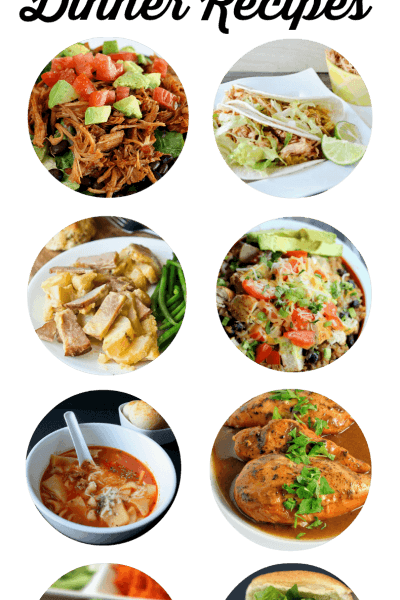 Let me know if you would like me to feature those recipes. Grass-Fed 10oz Rib Eye Steak. $5.99 per pound! Say What?!? This leaves me speechless. I bought a couple and they were very good. I don’t know about you, but the grass-fed beef has a distinct taste. We don’t eat a lot of beef, but when we do, I like to make sure it is the healthy alternative. 93% Lean Ground Beef. $4.29/pound. Chicken Sausage with Spinach and Feta. $2.99. 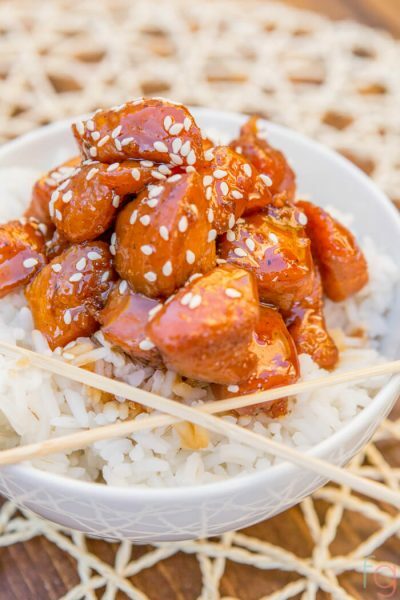 Boneless, Skinless Chicken Thighs. $1.69/pound. Excellent! We loved these. I cook chicken three or four times per week, and at this price, it will save a nice chunk off of my weekly grocery budget. Cage-Free Eggs. I had to look twice at this. They were only a $1.29/dozen. 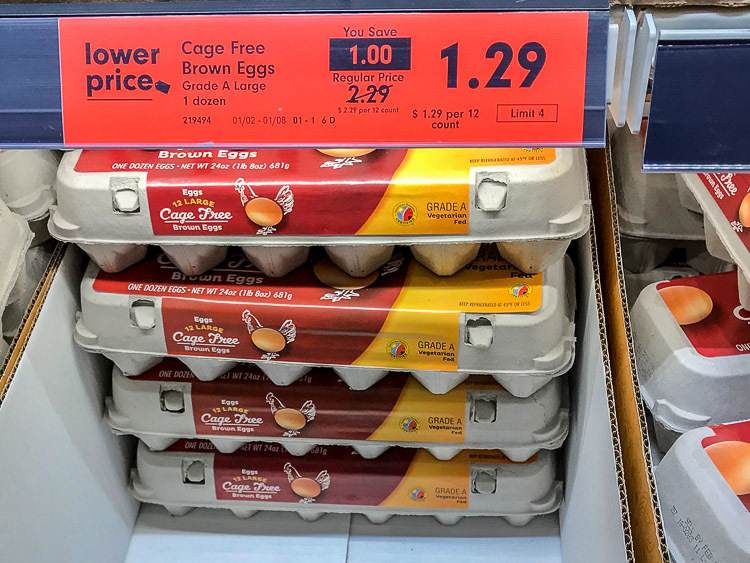 My cage-free eggs at my local Giant grocery store are $4.99/dozen. I picked up 2 dozen. I am happy to report that they were delicious! This was one of the biggest individual item cost savings that I found and it was worth the trip just for this. Butter. $2.35 for 4 sticks of unsalted butter. That is a huge savings, as I usually pay a lot more than that, even for the generic options. Almond Milk. Half Gallon for $2.50. This is the exact same one found at our local big box grocery store for $2.79. I am happy to save the extra 29 cents! I use almond milk for making healthy overnight oats. It makes the oats taste extra-creamy. Ground Coffee. 11 oz for $2.99! This is strong coffee. We mixed it with a pumpkin flavored coffee we bought and it was fantastic! Maybe don’t use as much as you normally do if you don’t love strong coffee. That is the best price I have seen for coffee in a long time! Can of Cream Corn. This was another store-brand, and at 39 cents, it is a steal! Tomato Paste. A 7 oz tube was 49 cents. This is incredible! 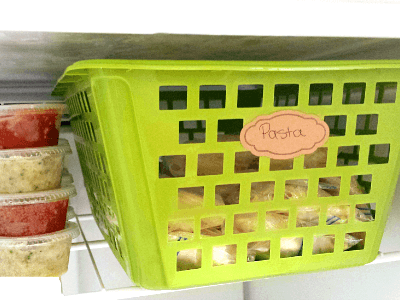 It is a huge cost savings from what I normally spend, and can still save the extra in the freezer. Tomato Sauce. 19 cents! Yeah, that’s not a typo. At this price, it makes you want to make a nice big bowl of pasta sauce! Whole Tomatoes. 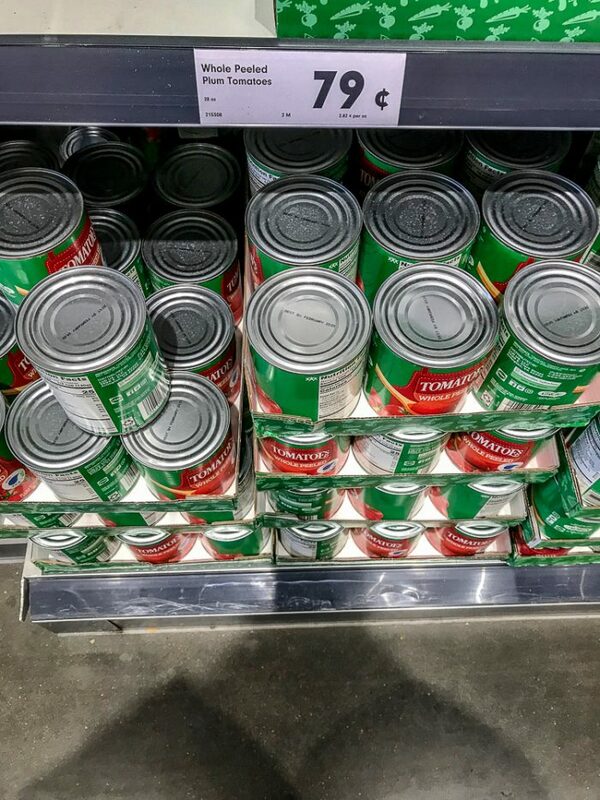 A can of whole tomatoes was 79 cent! This is 20 cents cheaper than the generic brand at the grocery store where I usually shop. Can of Evaporated Milk. $1. Grab some of these for baking. We can never drink enough coffee, right? Halo Ice Cream. $3.89. Have you tried this yet? 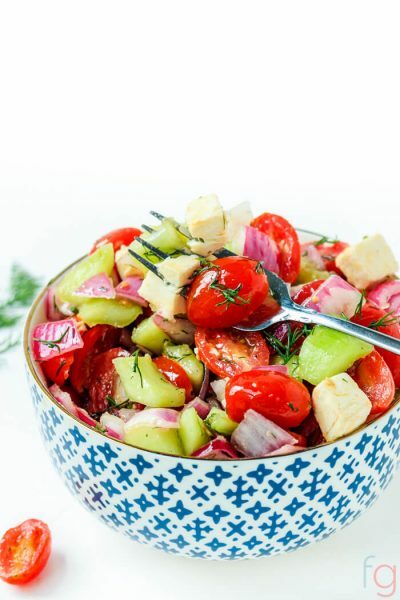 It is so popular and it is only a fraction of the calories. You have to love that! Store Branded Ice Cream. $1.99. I normally cringe when I see the cost of those tiny containers of Ben and Jerry’s Ice Cream. I love the taste, but mercy – those are not frugal! But, the store branded version of Ben and Jerry’s was a different story. They were just too good not to pick up! Wine. As low as $1.99. I picked up a bottle of Australian wine for under $2. At that price, I thought it would be worth the risk. I am not one to go spend a big portion of my paycheck on bottles of wine, but every now and then, I will enjoy a glass. I really liked this wine, but I loved the price! There were five different wines on sale for 50% off. This is the place to hit to stock up before your next bbq! Tide Pods. 31 pack of them for $8.94. If you are a Tide user, this is great. My Wegmans sells the 23 pack for $9.49. At Lidl, I picked up 31 of them for less than the cost of the smaller 23 pack. $8.94/31= 28 cents per pod vs $9.49/23= 41 cents per pod. That is the kind of math I love to do! I was really surprised with how low the prices were. I thought that the selection wouldn’t be great, since the store is fairly small, but I was wrong. 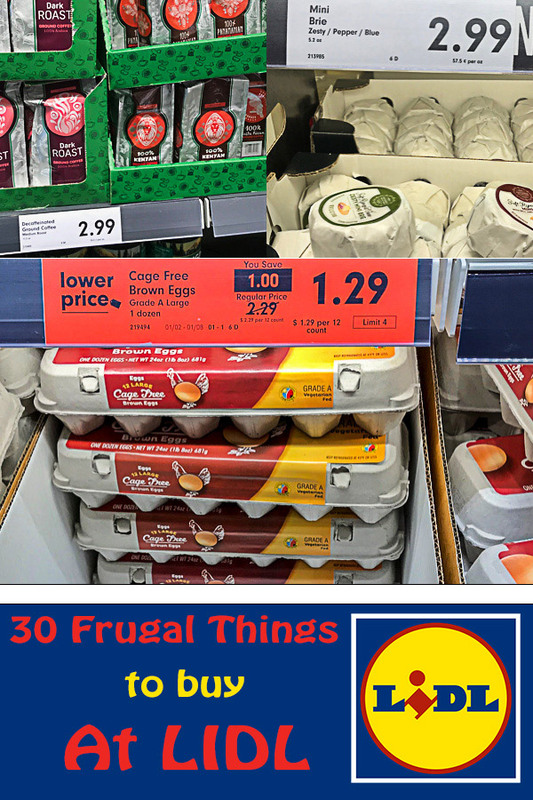 Normally, I shop at our local Giant or Wegmans, but after seeing the significant prices differences at Lidl, my frugality kicked into overdrive. I will be back routinely to keep saving more money on my weekly grocery budget. I’d love to hear from you! Have you been to Lidl? What did you think? Was there a killer cost savings on something that I did not feature?